Over the ages, a shelter has remained as one of the most basic and important needs of human beings. People’s housing needs have increased manifold in recent times as the population grows, the middle class expands and younger generations choose to move into nuclear family units or move near the increasingly popular regional work hubs. However, with high costs of construction materials, high capital costs and increasing complexity of the legal and technical paperwork needed, accessibility and affordability of house ownership continues to remain a challenge. Housing finance acts as a bridge to provide financing and open up the housing market to aspiring house owners. Here are the Top Ten best housing finance companies in India in 2019. CanFin Homes Ltd, set up under the sponsorship of Canara Bank, was incorporated in the year 1987, “The International Year of Shelter for the Homeless”. The main objective of setting up the company was, promoting home ownership and as well, increasing the housing stock in the country. It is the first housing company to be promoted by a nationalised bank in India. CanFin Homes Ltd is one of the top players in the housing finance sector, in the country today. The company has completed 27 successful years of operation in the field of home finance and has a renowned history of making profits and paying dividends continuously, since inception in 1987. GIC Housing Finance Ltd is a subsidiary of General Insurance Corporation of India. The company is engaged in the housing finance activity. They operate in the retail loan segment. They provide loans to individuals and to persons/ entities engaged in the construction of houses/ flats for residential purposes. The company has their presence in 27 locations (24 Business Centers & 3 Collection centers) across the country for business. They have got a strong marketing team, which is further assisted by Sales Associates (SAs). They have tie-ups with builders to provide finance to individual borrowers. The company also has tie-ups with corporates for various housing finance needs. Dewan Housing Finance Corporation (DHFL) is the 3rd largest private sector housing finance company (HFC) in terms of AUM in India. It primarily provides housing finance to individuals, especially to the low and lower-middle-income groups in Tier II, III and IV cities. The company also offers non-housing loans such as loan against properties (LAP), SME and developer loans in India with an extensive network of 74 branches, 78 service centers and 35 camps spread across the nation. PNB Housing Finance Limited (PNBHFL) is a 28 years old public sector housing finance company (HFC), headquartered in New Delhi with branches in major cities across India. The company is promoted by Punjab National Bank and is registered with the state owned bank and regulation authority of India – National Housing Bank (NHB). The company provides housing loans & loan against property as a part of its product portfolio and also holds the license to accept public deposits. IDBI Bank is an Indian government-owned financial service company, formerly known as Industrial Development Bank of India, headquartered in Mumbai, India. It was established in 1964 by an Act of Parliament to provide credit and other financial facilities for the development of the fledgling Indian industry. It is currently 10th largest development bank in the world in terms of reach, with 3350 ATMs, 1853 branches, including one overseas branch at Dubai, and 1382 centers. It is one of 27 commercial banks owned by the Government of India. It offers a range of housing financial solutions to its customers including Individual Home Loans, Home Improvement Loan, Home Extension Loan, Home Loans for NRIs, Plot Loans, and Loan against Home etc. ICICI Bank (Industrial Credit and Investment Corporation of India) is an Indian multinational banking and financial services company headquartered in Mumbai, Maharashtra, India, with its registered office in Vadodara. It offers a wide range of banking products and financial services to corporate and retail customers through a variety of delivery channels and specialised subsidiaries in the areas of investment banking, life, non-life insurance, venture capital and asset management. The bank has a network of 4,450 branches and 14,404 ATMs in India and has a presence in 19 countries including India. LIC Housing Finance Limited (LIC HFL) is one of the largest Housing Finance companies in India having its Registered and Corporate office at Mumbai. The main objective of the Company is to provide long term finance to individuals for purchase or construction of the house or flat for residential purpose/repair and renovation of existing flat/houses. The Company also provides finance on existing property for business/personal needs and also gives loans to professionals for purchase/construction of Clinics / Nursing Homes / Diagnostic Centres / Office Space and also for the purchase of equipments. The Company also provides long-term finance to persons engaged in the business of construction of houses or flats for residential purpose and to be sold by them. The Housing and Urban Development Corporation Limited (HUDCO) is a government-owned corporation in India. One of the public sector undertakings, it is wholly owned by the Union Government and is under the administrative control of the Ministry of Housing and Urban Poverty Alleviation. It is mandated with building affordable housing and carrying out urban development. HUDCO offers housing loans for the buying/constructing house/flat. Loans are also offered for renovation/extension/alteration of existing house/flat. SBI offers home loans for a variety of purposes, including purchase/construction of new house/flat, purchase of an existing house/flat, purchase of a plot of land for construction of house and extension/repair/renovation/alteration of an existing house/flat. SBI home loans come with some unique features that make them stand out in the competition. Besides the standard package of home loans, SBI has some customized home loan products in its kitty, which address the needs of niche customer segments. 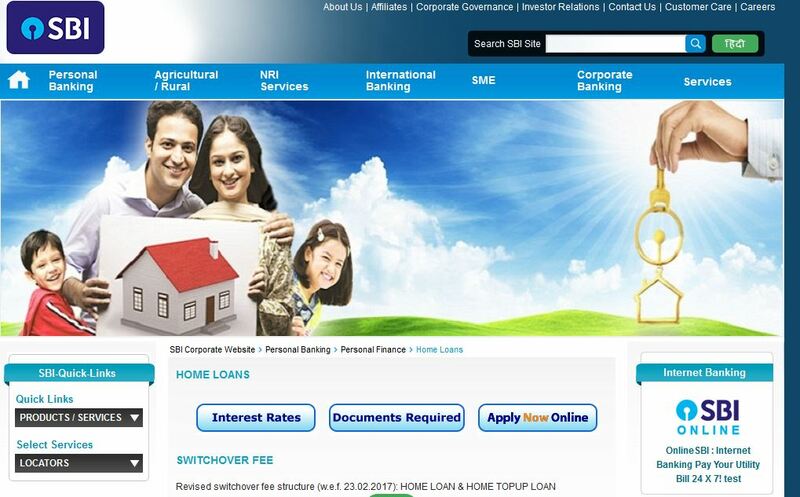 Explore the article to know all about State Bank of India housing loans. Serving more than 38 lakh Indian customers, Housing Development Finance Corporation (HDFC), HDFC Bank is India’s second-largest private sector lender by assets. Market leader in e-commerce, HDFC Bank provides a series of digital offerings like – 10-second personal loan, Chiller, PayZapp, SME Bank, Watch Banking, 30-Minute Auto Loan, 15-minute Two-Wheeler Loan, e-payment gateways, Digital Wallet, etc. As the commercial banks started expanding housing-related disbursements, the market share also started growing up. In 2000, the Indian housing finance companies accounted for 70 percent of the disbursements, while their collective share decreased to 36 percent within 5 years. Experts say economic slowdown, especially in the real estate sector, has gotten to these companies more than anything else. “High-interest rates, economic slowdown and competition from banks are giving Housing Finance companies (HFC) a tough time. However, people must be careful while investing since the sector is passing through a difficult phase. “They should buy quality stocks and that too for the long term. Investors must watch for changes in interest rates and check the quality of the management and the HFC’s credit rating and past record before deciding to invest in.